E-Voting will not be implemented at the Maldivian Presidential Election 2018, says President of Elections Commission, Ahmed Shareef Adam. Shareef made the comment over coffee with local media this Tuesday. 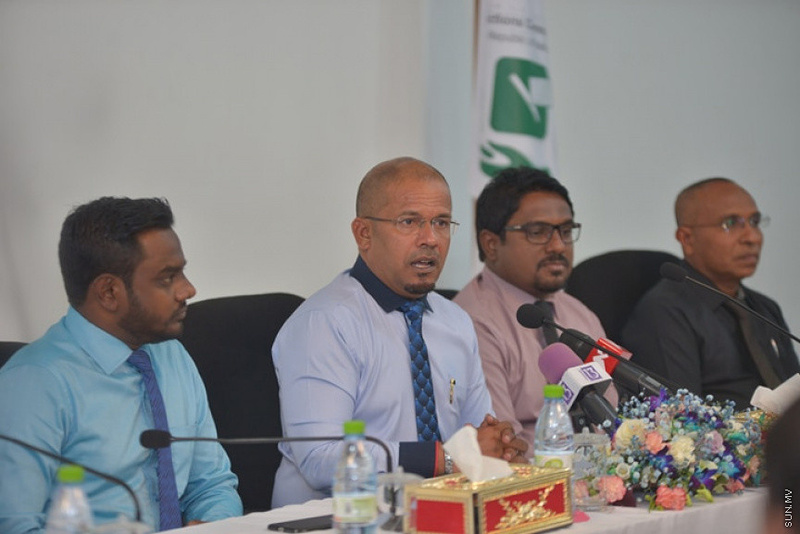 “There’s no hope e-voting will be introduced for Presidential Elections,” said Shareef. Shareef said the Elections Commissions has sent amendments to the Elections Act to the Attorney General’s Office. But that none of the amendments were drastic enough to change the electoral system. He said that e-voting and e-counting were different, and the commission has plans to travel abroad to research e-counting methods used by foreign countries. He said it wasn’t likely e-counting will be implemented at the upcoming Presidential Elections either. “It seems more likely we will opt for normal voting and normal counting this time,” said Shareef. Elections Commission asked for opinion of reporters on procedures for the Presidential Elections 2018 during the meeting this Tuesday.